On March 18th, the Illinois Junior Academy of Science Region 12 Science Fair was held in the Morris University Center at Southern Illinois University Edwardsville, where over 200 of the finest 5th through 12th grade student projects from a ten-county area were presented. Saint Louis ACS section members G.S.M. Sundaram, Donald Sartor and Cinda Page served as judges for the event. 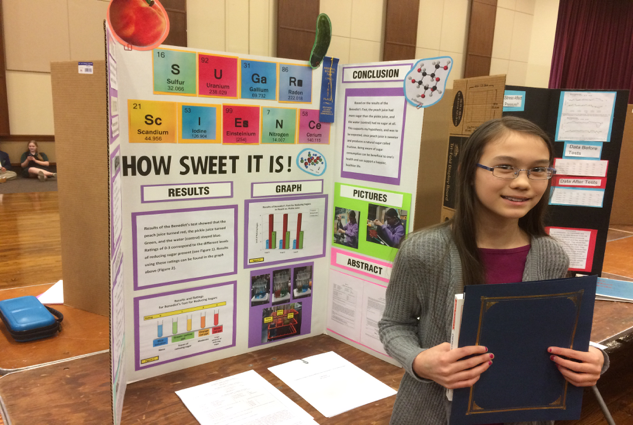 First Place: Emily Baack – “Sugar Science: How Sweet it is!” Grade 7, Zion Lutheran School, Waterloo, IL. 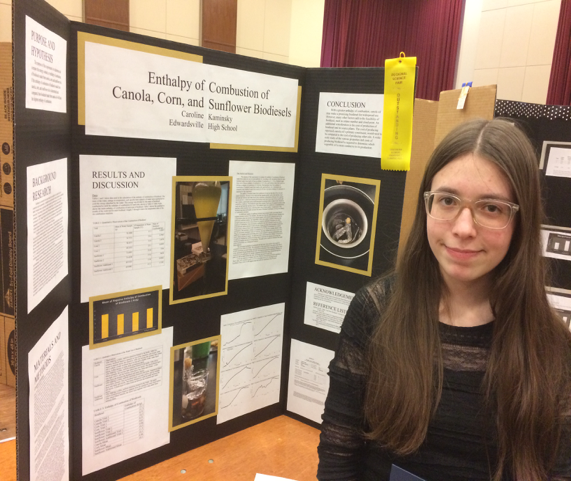 First Place: Caroline Kaminsky – “Enthalpy of Combustion of Canola, Corn, and Sunflower Biodiesels”, Grade 12, Edwardsville High School, Edwardsville, IL. 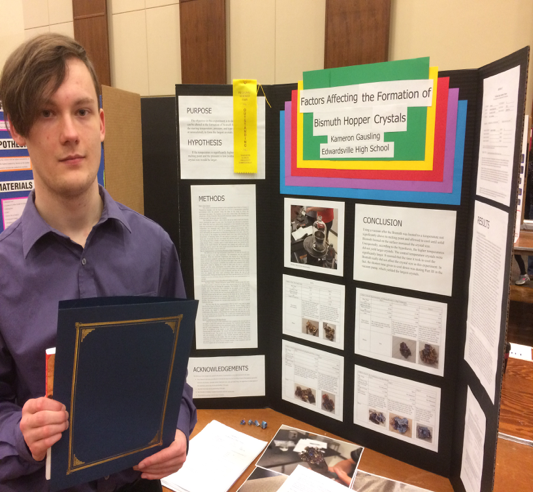 Second Place: Kameron Gausling – “Factors Affecting the Formation of Bismuth Hopper Crystals”, Grade 12, Edwardsville High School, Edwardsville, IL. 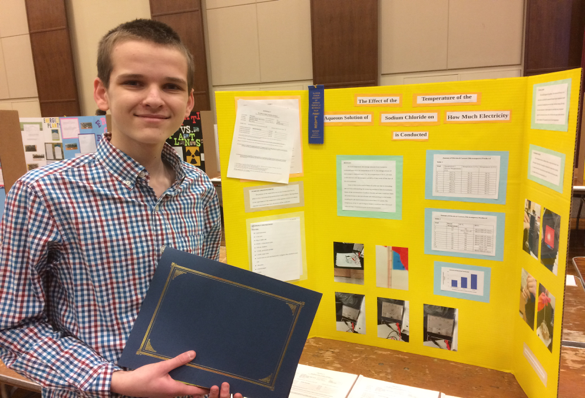 Third Place: James Kessinger, “The Effect of the Temperature of Aqueous Solution of Sodium Chloride on How Much Electricity is Conducted”, Grade 12, Maryville Christian School, Edwardsville, IL.